It's Not Work, It's Gardening! : I'm starting to like Iris! I'm starting to like Iris! 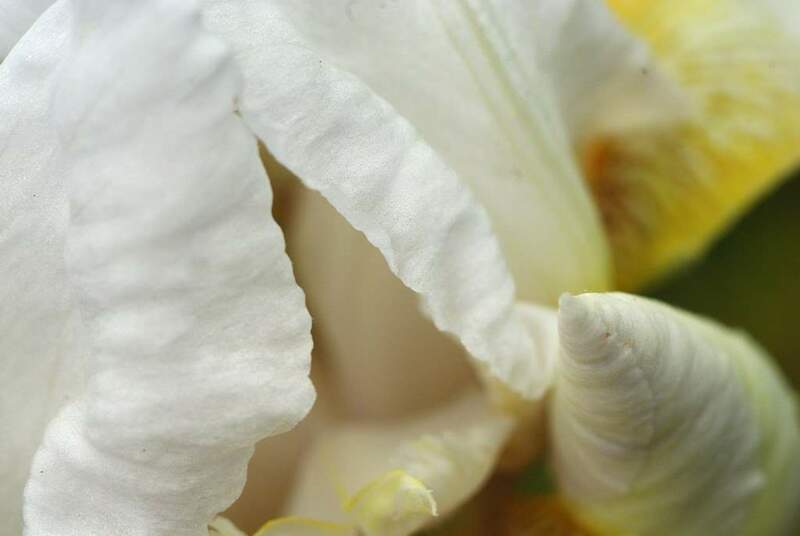 I recently posted photos of my first bearded Iris to bloom this year. That was quite a beauty, and it will be difficult to beat its blooms I think. Or should I say "thought". 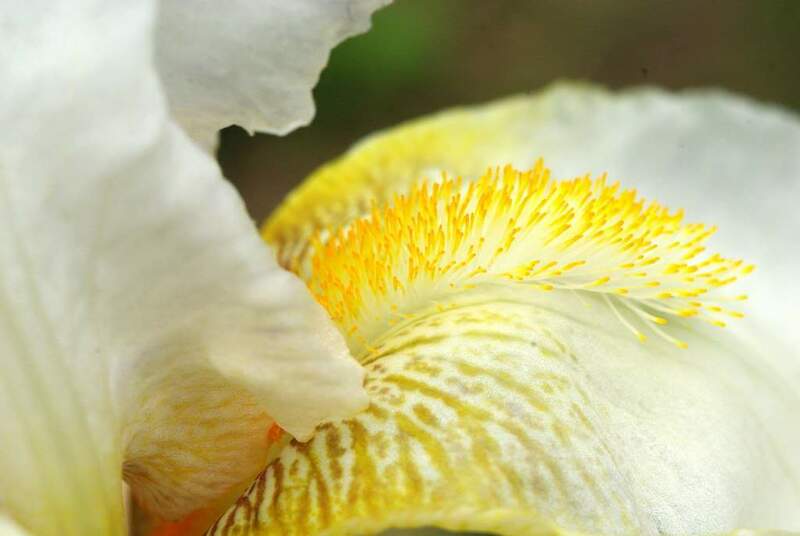 The second of my unknown Iris types is starting to bloom! I didn't get to see this bloom last year when I got the plants from my new gardening friend Michael, but since they were free plants I didn't really care what the flowers would look like. 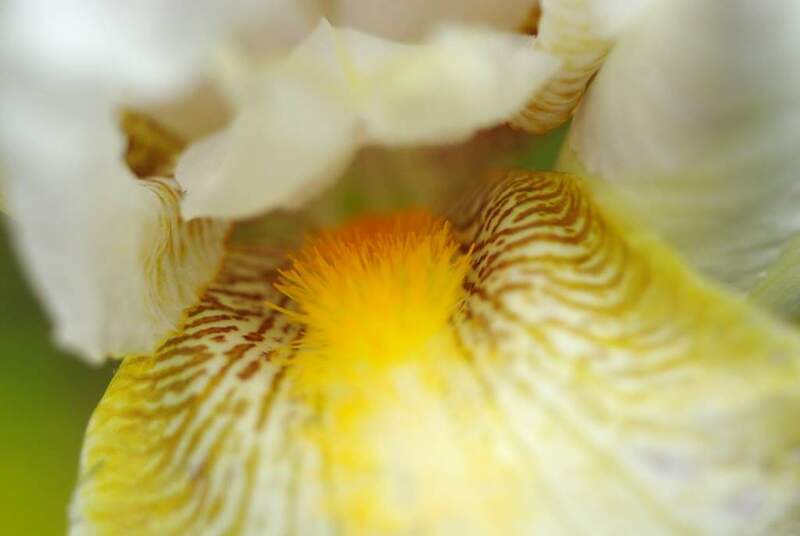 I do care now that I see them, and I think I'm starting to see the attraction that people feel toward Irises. These flowers are gorgeous, and they even have a slight fruity fragrance. Yummy! White's nice, right? Classic. Simple. Refined. Actually, I'd have to say that white is just lovely in this case! I'm not sure if any of the other Irises I have in pots with this one will bloom this year or not -- I don't see any signs of stems. 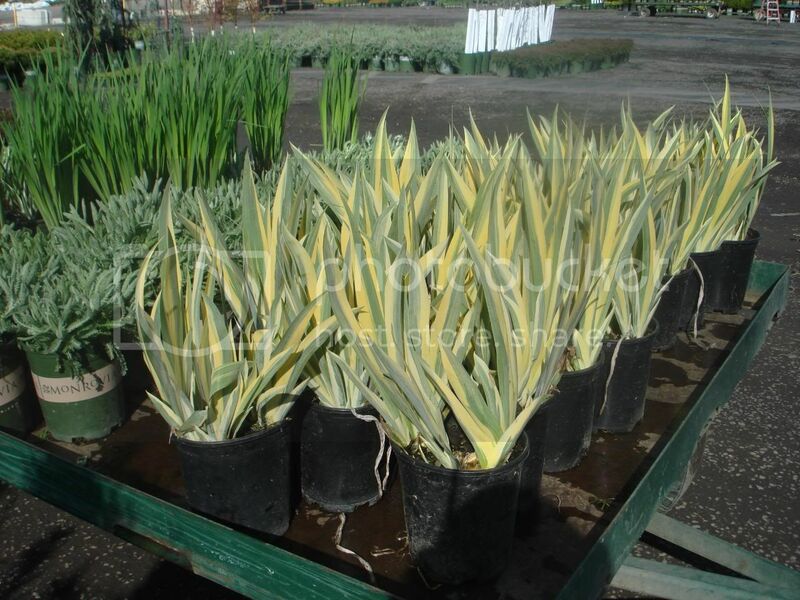 To be honest I don't even know if the other pots contain the exact same variety of Iris either. I seem to remember Mike giving me three different types, but it may have been more. The final type is completely different from these first two from what I remember, and the foliage is more grassy than these. They prefer more water I think I remember him telling me as he handed them over, but I was in a free plant daze so may have missed something. I'm quite excited to see what their blooms look like now, as I have to say that I'm two for two on these free Irises so far! Am I turning into an Iris person? I have a tendency to focus and obsess on specific types of plants each year. Bamboo, thymes, sempervivum, elephant ears. 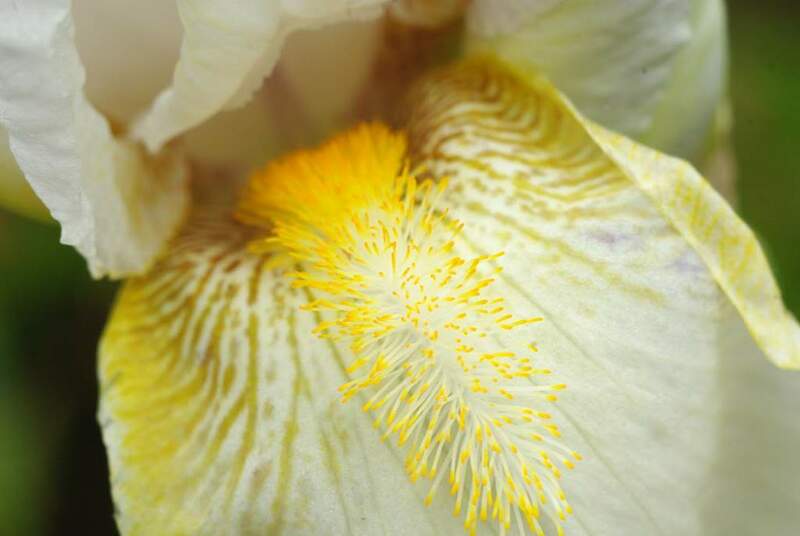 I think it will be pretty simple to resist the temptation to get as many different Irises as possible into my garden though, because I haven't even found a spot for any of these yet -- they're been in pots for a year! Surely I can't start collecting a plant that hasn't even been planted permanently yet... but come to think of it, the 20+ different sempervivums I now have aren't in the ground yet either... Hmmm. Does anybody know if deer eat Iris foliage and/or blooms? Does anybody have any idea on what cultivar this is? 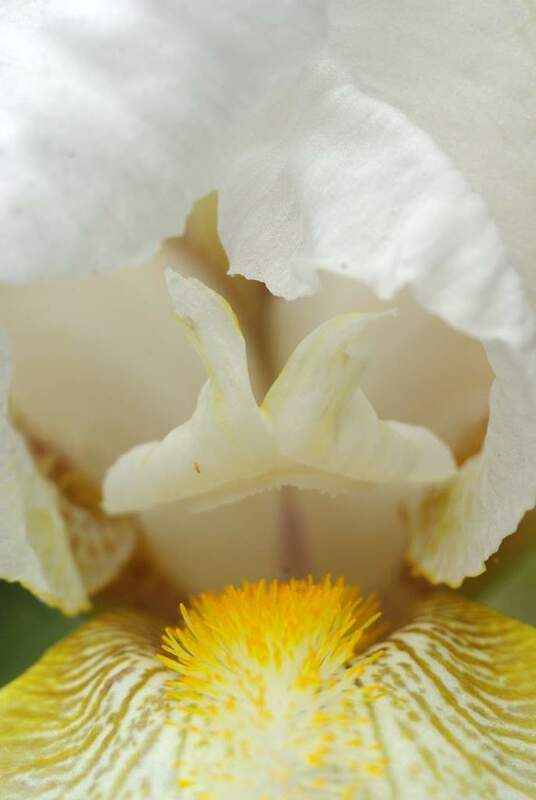 Alan, I know nothing about irises, but I almost bought this one at the UC Davis Arboretum plant sale last Saturday. The foliage is stunning. 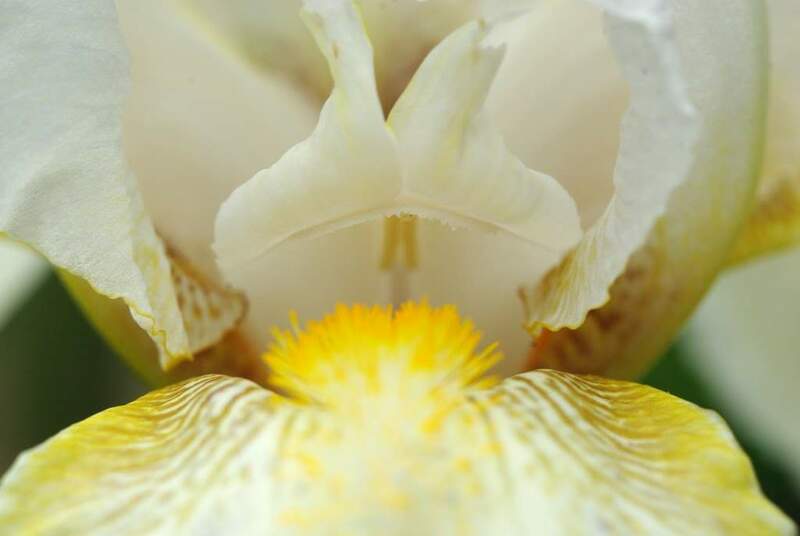 This Iris would make me fall in love too =) What a stunner! Your photos are gorgeous, I love the every angle captured, great photo study! I have lots of iris including bearded but it is hard to tell which one it is..they definitely don't like to be too wet...the native iris or flag iris do like water and I have them in my pond and wet areas...I have not had deer eating bearded iris which is outside my fence and I have not had an issue with anyone eating the native ones either...love the look and the beautiful subtle scent...enjoy them!! 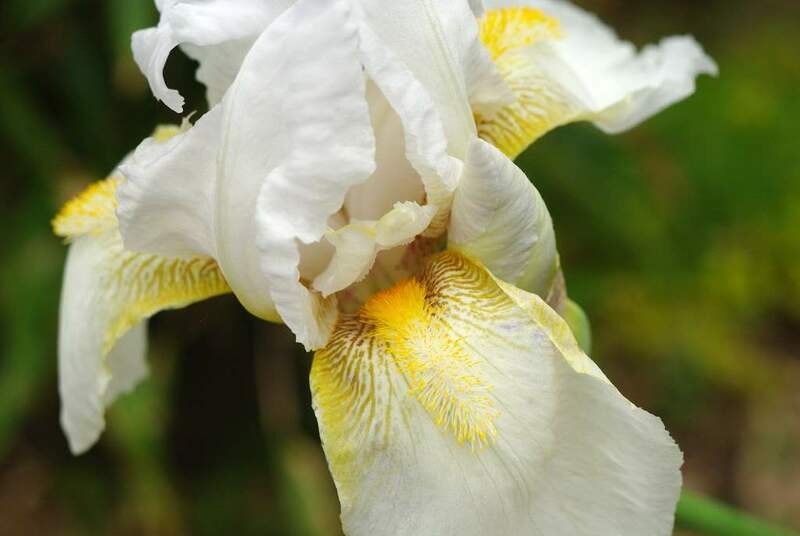 Hi Alan - I'm so glad that you have "discovered" irises - they are my very favourite flowers! 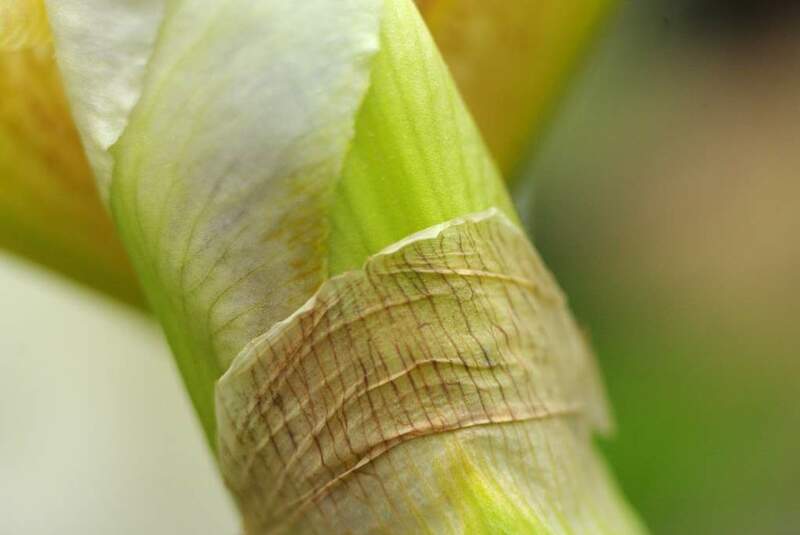 I am patiently awaiting my first irises to flower this coming spring. I do love the leaves of irises - (most irises) and I love when people plant them in drifts - masses of irises in one planting - I love that look. Your photos are quite stunning! Wow! 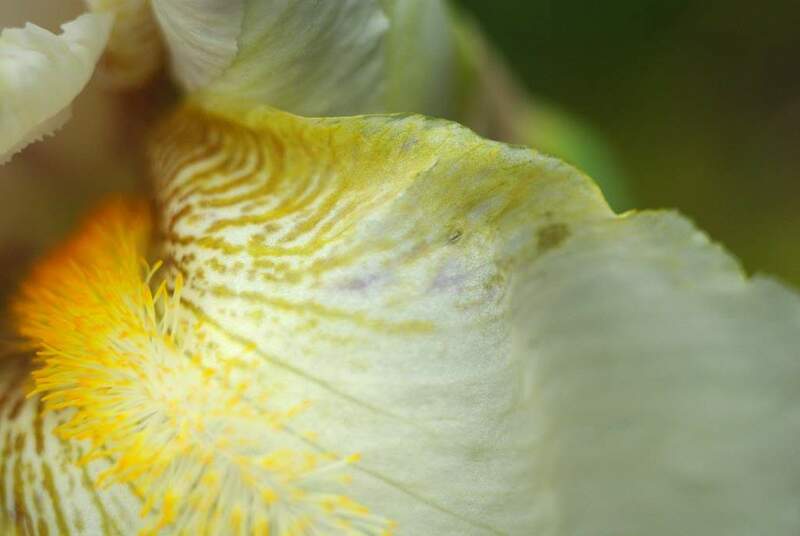 Such great macro shots of those lovely iris! Yes, iris have a way of charming you. I don't have a lot, but I adore the ones I have (and yes, they are permanently planted!). 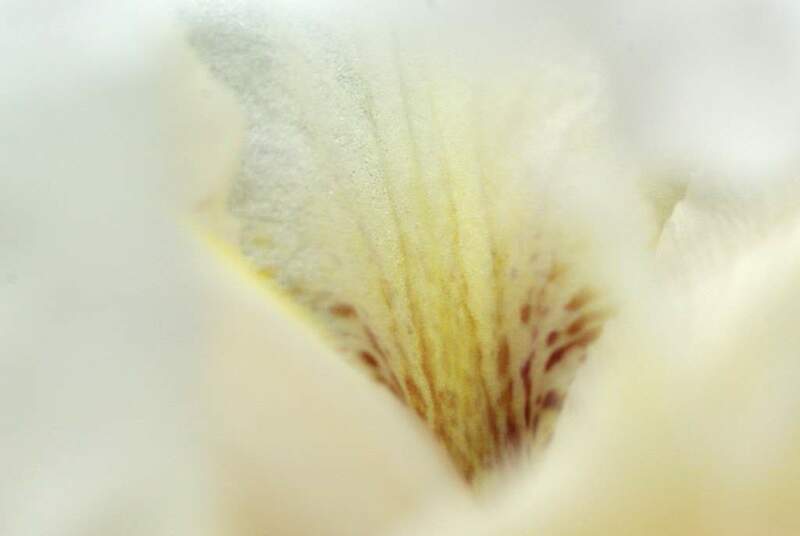 Your photos are exquisite.